This frame features Pittsburgh captain, Sidney Crosby. This jersey features the 2016 NHL Stanley Cup Finals patch on the front of the jersey. Crosby finished the 2016 regular season with 36 goals and 49 assists, which helped the Penguins secure second in the Metropolitan Division with 104 points. In Crosby's 24 playoff games, he scored 6 goals and 13 assists. The Penguins took down the Sharks in 6 games. During the Stanley Cup clinching game, Crosby had 2 assists to secure the victory. This product is officially licensed by the NHL &NHLPA. 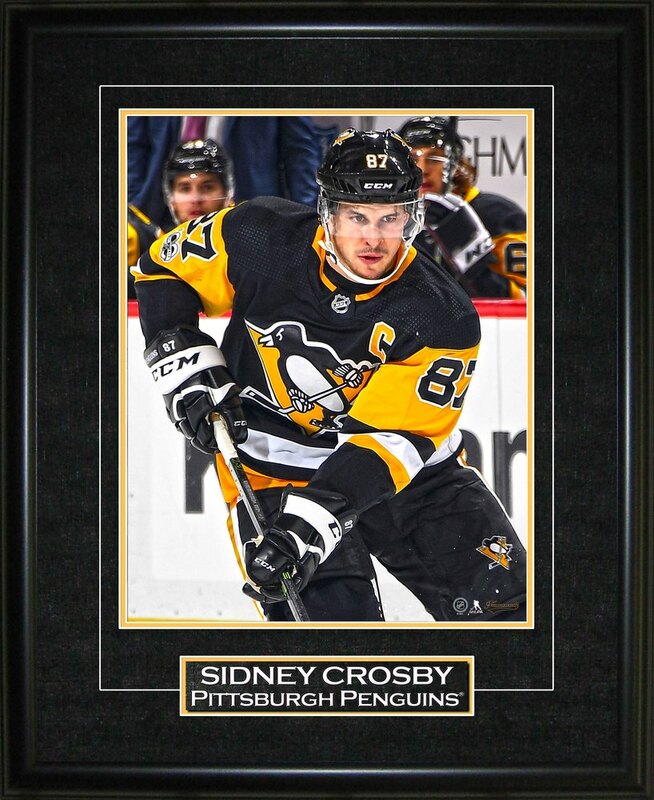 Frameworth is the exclusive provider of Sidney Crosby signed memorabilia.